A subtle, evocative and engrossing story of secrets, lies and the weight of living with the past. Winner of the 2006 The Australian/Vogel Literary Award. Winner of the Australian/Vogel's Literary Award 2006. An engrossing novel of secrets, small communities and the consequences of living with the past. Set in a small riverside community, The River Baptists tells the story of Rose, bunkered down in a borrowed house overlooking the river, grieving for her dead father and waiting for her baby to be born. It is also the story of Danny, another refugee from life elsewhere, hiding out from his violent father and dreaming of owning a block of land on the river. Then there are the river old-timers, who miss nothing and forget less, and a newcomer who cares nothing for the locals, or the secrets of the past. Set over the course of a long hot tense summer, when sparks constantly threaten to ignite bushfires, the tight-knit riverside community is set alight by confidences betrayed and a renewed age-old grudge. And through it all flows the mysterious pulse of the river, indifferent, deep and calm, offering the possibility of life and death, renewal and rebirth. 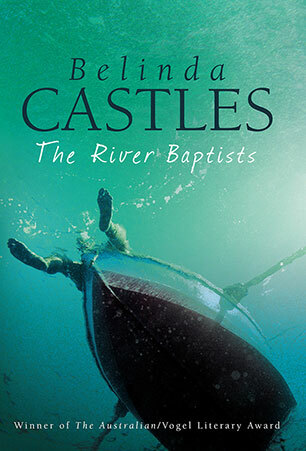 Belinda Castles lived for a period on an island in the Hawkesbury River in New South Wales, using this area as the basis for the fictional setting of The River Baptists. This is her second novel; the first was Falling Woman (Sceptre, 2000). When not writing, she works as an editor, and lives with her husband and daughter near Sydney. She has a Masters in Novel Writing from the University of Manchester.